-ONE- I have a deep love for the seasonal Mrs. Meyers hand soaps! Peony & Lilac! So so perfect for spring. I'm currently waiting for own peony bush to bloom, which usually happens the first week of May! It's one of the plants I totally plan on digging up and bringing to our new house when we move. -TWO- For a few years now I've been trying to find a natural deodorant that works for me. I realized that I needed one with a smaller amount of baking soda, otherwise it would cause me to break out. Finally, I found the perfect one, Primal Pit Paste (such a terrible name I know... I swear all natural deodorants have bizarre names). They have tons of amazing scents (or unscented for the boring type). I find mine at Whole Foods, but Amazon always has my back too! -THREE- I've been holding off on placing some small shop orders because I'm really hoping there will be some Mother's Day sales! One thing in particular I'm eyeing is a Wildbird ring sling in Owlette, but they typically sell out as soon as they restock! It's really looking like my Mother's Day present should just be a small shop shopping spree for me and the new babe! 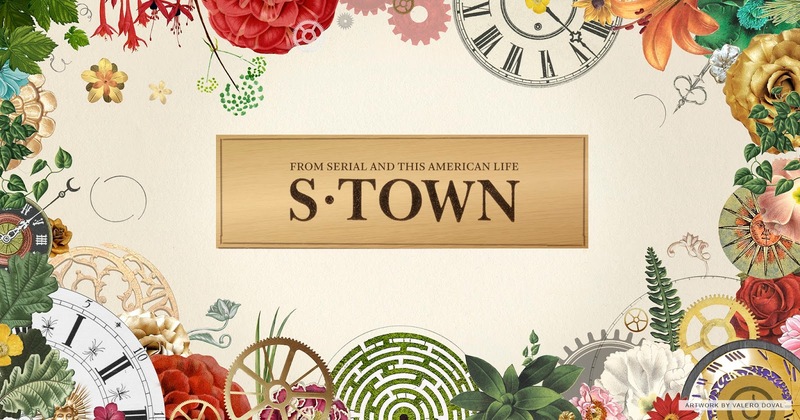 -FOUR- I jumped on the bandwagon and listened to S Town recently. While I loved the podcast as a whole, and thought John B. was quite the character, I don't know that I loved how it ended. I wanted more? Regardless, it's a good listen! I pop in a headphone at night when I'm laying down with the boys to put them to sleep which helps prevent me from falling asleep. It's a good way to wind down at the end of the day. 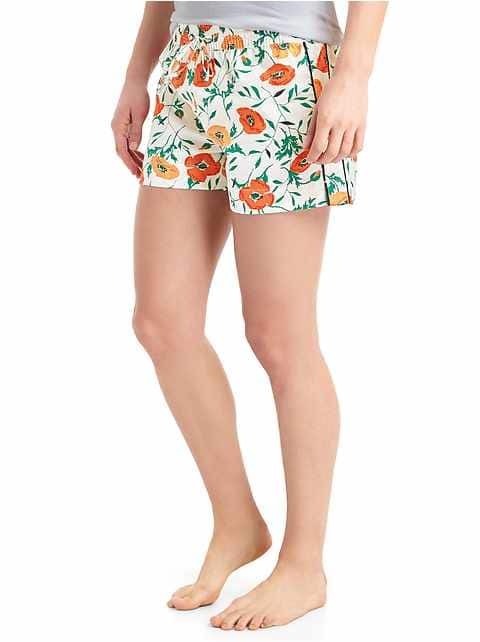 -FIVE- I'm really loving these poplin poppy sleep shorts. But I'm doubtful they will work with my pregnant belly. And by the time that is gone the days of long pj pants will be here. Still, that poppy print is speaking to me! Take me to the lake house with you!!! And that deodorant has a terrible name! haha Happy Friday bird!! I loved Native's natural deodorant for months last year! Then all the sudden I started having a reaction to it out of nowhere. I'm not sure what that's about! I switched back to a regular deo for a while and then tried the Native again and within a week I had a rash again. Such a bummer since it worked for me so well for nearly 6 months! 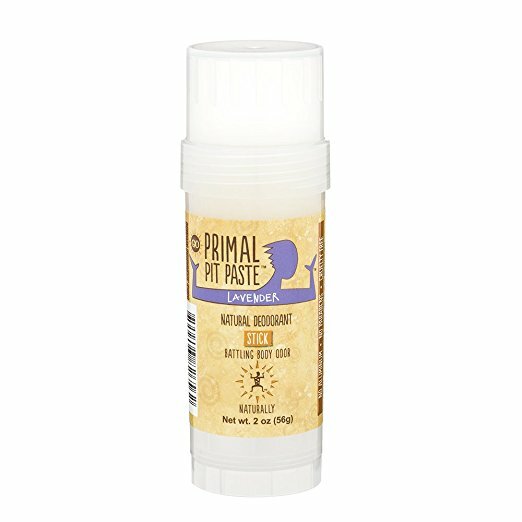 I might just have to try this Primal Pit Paste! I'm due the same week as you and looking for a new lightweight baby wrap/sling since it will be hot (August in Texas). What would your top picks be? I've used wraps before for my newborns (moby-thick and hot) but wondering how much head support a ring sling provides? Would love your input! Thanks so much! A Solly Baby wrap would be the most similar to the many but much much lighter. However, wraps in general are just pretty hot. Ring slings offer plenty of head support even from the newborn stage. There is a slight learning curve, but then they are the best. I can't say enough good things. Plus they are by far the easiest to nurse in! 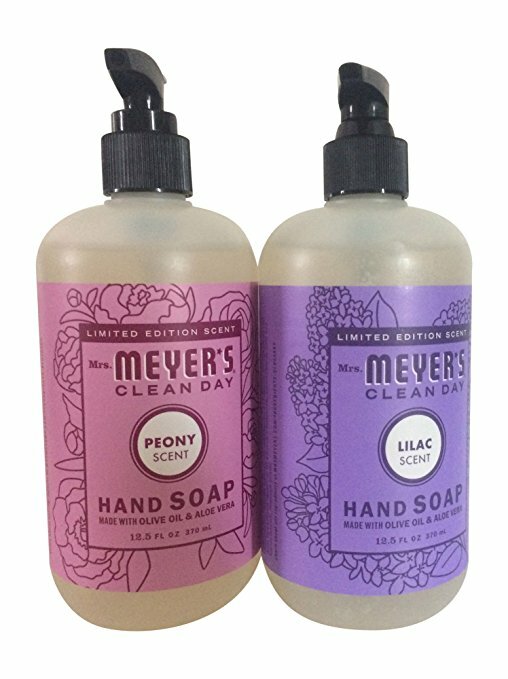 I've been LOVING Mrs. Meyer's hand soap lately. I'm boring and use the lemon one but I may need to splurge and get some of the lilac one! Are you a peony expert????? We kovednhesr three springs ago. There are three plants that grow bushy and green alll summer and never bloom. They get plenty of light, good soil...water....by fall the leaves turn brown and they die. Each year I say I am digging them up! But then they start to get green and I cross my fingers. Toootalllyyy check out Pavo Lovebirds. It is heavenly (though not a ring sling, BUT) and my most prized possession. Not an expert, but that sounds strange. Mine get buds very early. I would dig up and start fresh. May just be the ones you currently have. I just picked up the Mrs. Meyer's peony counter spray and cannot get enough of it! I use it just for how delicious it makes my kitchen smell! I love random Friday posts like this! I wish I had more energy to put them together myself these days because they're so fun. I totally need to get the Mrs. Meyer's products! Those scents are right up my alley! Mrs. Meyers soap is a favorite around here, too. Um. That deodorant needs a new name. Stat. Primal Pit Paste.. lol but I'm intrigued. Will have to check it out. I think you should buy the ring sling for yourself. It's really cute! I have been searching for a natural deodorant, might try the pit paste, hah. Ohh I need to try the hand soap. Also, I've been thinking about switching over to a natural deodorant and it's always good to know of one that is tried and approved! Those soaps are my favorite!! I might need to try the Primal Pit Paste. I couldn't find an all natural deodorant that worked for me, so I had to resort back to the unhealthy stuff. I hope you score some great deals for Mother's Day.